When you place your order, a time slot will be allocated to you so you know when your logs will be arriving. The firewood will be delivered by tipper truck, so we need access to your property suitable for this vehicle. 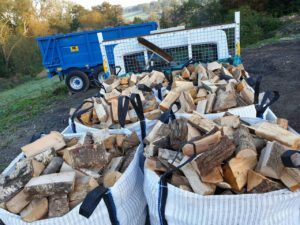 We’re not permitted to tip the logs onto the public highway, so we must be able to tip onto a driveway, garden or similar private property. 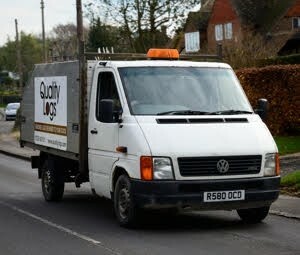 We deliver using a specially modified VW LT35 flatbed pick-up, with a fitted hydraulic swing-lift so that the delivery bags can be lifted off the truck and placed on the ground. The truck measures 93″ (236cm) across the back. What quantity of logs will I need?